I know that many of you are in fear at the moment, because of your world leaders who are posturing. 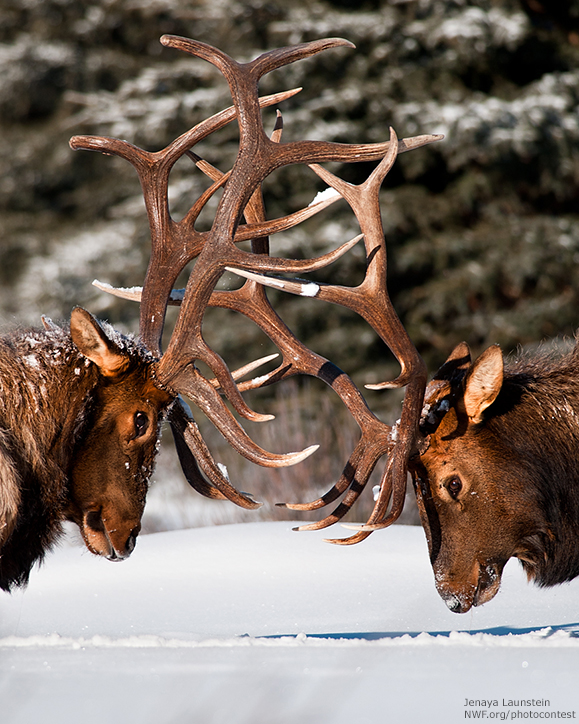 They are like bull elks, who like to show off who has the biggest antlers. I know it is a little frightening for everyone else. 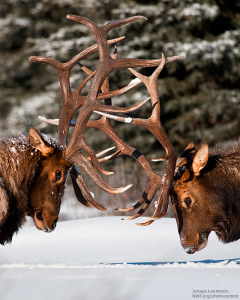 When bull elks rub antlers, there is usually no one else that they can hurt except themselves, and they don’t usually even hurt each other. It is all show. With your current world situation, you know that everyone is at risk. Have no fear, though, my loves. Fear will only exacerbate the situation. Have faith, and all will be well. You are powerful beings, each and every one of you. Each of you was created as a spiritual child of God, and you have the power to create the world that you desire. You are not impotent at this time, or any other time. You have the power of a child of God with all of the abilities that that entails. If you knew the power that you wield, you could never have fear again. But many of you are unaware of your great power. So, if you are feeling afraid, you can always call on us angels to help you. We can work miracles for you. Don’t worry; be happy. That is the best antidote for the fearful activities of others. Be happy. Be at peace, and call on us to surround those who would threaten you with our glowing light of love. Our love is impenetrable, except by more love. Have no fear. Be at peace. You are free. You were born to create a world in which God’s child would be proud to live. God created this Earth as a peaceful planet. It is only your fear that is keeping it from being that. You are all created out of peace and love, and you can create the world as peace and love once again, when you let go of fear. We are always with you. God is always with you. Jesus is always with you, as are many other beings who are available to help you. There is no reason to fear. Be the love and peace that you were created to be. Be the child of God that you were created to be. You are love, and you are loved. Have no fear. All is well. Don’t worry; be happy. Be at peace. Be in love. Go now, and share your peace and love with all you meet, and with all the world. Be at peace.